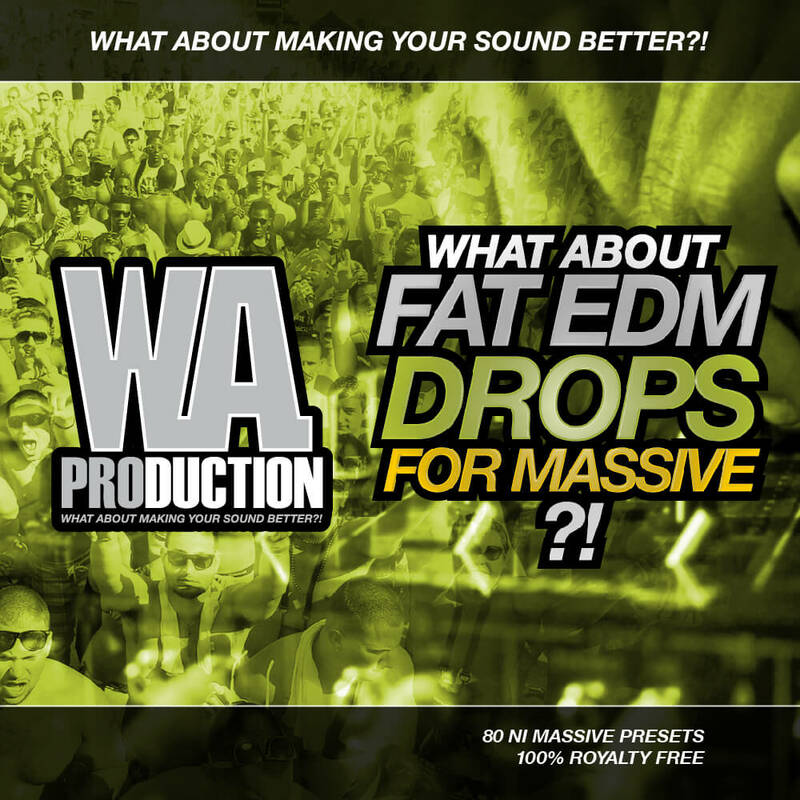 ‘What About: Fat EDM Drops For Massive’ is a new collection of 80 fat and dirty sounds for NI Massive from W. A. Production. This collection was inspired by the biggest drop sounds from the EDM scene. If you want to sound like DVBBS, Martin Garrix, Ummet Ozcan, Borgeous or Dmitri Vegas and Like Mike, this product right is what you are looking for. What About making your drops bigger? ‘What About: Fat EDM Drops For Massive’ contains the most powerful up-to-date sounds that NI Massive can offer. Let’s have some fun and let’s bring some fatness to your mixes right now. Native Instruments Massive 1.3 is required for this soundset.